This workshop is an excellent way to start your journey into the world of Complementary Therapies. Covering aspects of Massage, Aromatherapy and Reflexology, we will give you all of the essential knowledge and skills needed to help you to choose the right pathway for you to develop. A career in Complementary Therapy not for you? That’s fine too, as you will pick up simple skills during the workshop to use at home with family and friends. This is an ideal starting point for anyone considering a career in Complementary Therapies, giving you a unique insight into what further studies will involve. We hope you will thoroughly enjoy the day and feel inspired to take that next step and join one of our diploma programmes. The day will include both theory and practical elements and is split into 4 parts. The final short session of the day will focus on what to expect from a diploma level course. The session is free but please do let us know your intention to attend so we can accommodate. The careers advice surgery will be held at the Sir Robert Ogden Macmillan Centre, Harrogate Hospital between 6 and 8pm. Daoyin Tao (Pronounced Dow Yin Tow,) is a unique blend of Chinese acupressure and western massage techniques. It is an advanced energy massage of the shoulders, neck, ears, face, scalp and face. It is one of the therapies offered on our cancer unit, it works predominately to release stress and tension in these areas, it is helpful in relieving neck and shoulder pain, inducing deep relaxation and relieving problems such as headaches, sinus problems, poor sleep……. The course is open to practitioners who are qualified in anatomy and pathology and a body therapy, this includes those whose only therapy is reflexology. 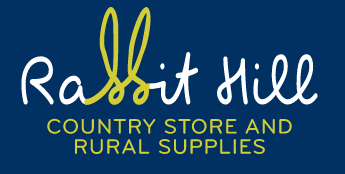 It is an FHT accredited short course. The five-day course is a combination of theory and practical. No special equipment is required. Substantial hand outs and work book will be provided. Case histories need to be submitted on completion of the course before certificates can be awarded. Monday June 24th 2019, Tuesday June 25th 2019 and Wednesday June 26th 2019. Monday July 15th 2019 and Tuesday July 16th 2019. This workshop aims to help participants gain a deeper understanding of how our diet affects our health, and how our relationship with food affects wellbeing. The workshop starts by establishing a definition of good nutrition. From this point, participants will learn about the three main food groups, and their role in a healthy diet. There are many misconceptions about the role of food, so the aim here is to help participants make sense of all the different messages we are given about “good” and “bad” foods. This leads onto a further session specifically examining the relationship between food and health, and what can be achieved through even small changes in a person’s diet. The workshop continues with analysis of participants’ own eating habits, which can provide a useful reminder of where changes can be made. It will conclude with discussion of issues raised, and steps to take to put learning into practice. Throughout, the workshop will involve participants in practical activities, discussions and group exercises. 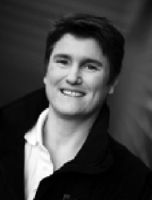 Caroline Innes is an experienced complementary practitioner, having started in practice in 1999. She recognised how many of her clients had health issues that could be addressed through making changes to their diets, and decided to follow a course of study to enable her to help. Having achieved a first class honours degree in Nutrition and Health Sciences in 2005, she set up Food Works. Her aim is to use ordinary, easily available food where possible, and help people make the changes that they need without having to resort to supplements, gimmicks or expensive “special” foods. She has since extended her business to include cookery tuition in clients’ own kitchens. The EMMETT Technique uses light touch to trigger a relaxation response in the soft tissue of the body, and the therapist may help relieve tension and pain resulting in feelings of improved comfort within the body. It may be enjoyed by people of all ages, from the very young to the elderly and many people find they feel more at ease within their body, and emotional well- being is enhanced. This internationally recognised technique developed by Ross works well as a standalone approach but can easily be combined with other complementary therapies such as massage and chiropractic as examples. The EMM-Tech one day workshop offers everyone the opportunity to use pain relieving techniques that can either be incorporated into your therapy practice, or used to help relieve pain and movement restriction with family and friends. Taught over one full day, you will learn how to recognise and release tension in 11 muscle groups throughout the body. Results are often immediate. This course is suitable for the absolute beginner, carers and for those interested in using muscle management techniques to help with general problems. CPD points are awarded by many of the professional associations for qualified therapists. 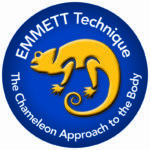 For those who wish to progress a full EMMETT Technique Practitioners course is available and involves attendance at 6 modules over a year with theory and practical assessments. Again, no previous experience is required and successful completion of the course and assessments allows the graduate to insure and practice as an EMMETT Technique practitioner. This offers a thorough grounding in a very effective self-help tool. EFT is a remarkable method of neutralising negative emotions that give rise to stress and contribute to physical pain and discomfort. The process is self-applied, painless and simple to learn, and the results are real and lasting. By tapping with your fingertips on selected points along the energy meridian lines, like acupuncture without the needles, you can relieve stress and anxiety, increase motivation and even reduce cravings. Upon completion of this workshop you will be able to use EFT for yourself and to help family and friends in a non-professional capacity. You will be able to relieve aches and pains and alleviate the effect of issues such as emotional tensions and stresses or disturbing thoughts and memories. You will also participate in practical exercises including demonstrations, group and supervised pair work. There is no pre-requisite to attend this workshop. It is equally suitable for people who wish to develop their resilience and capacity to help themselves and the professional nurse, counsellor, teacher, therapist who wish to expand their toolkit. From a background in education and passionate about the potential we all have for living fulfilling and rewarding lives. I have been helping people develop and appreciate their capacity for growth and change and increase their resilience through coaching and mentoring since 2000. I have been using EFT since 2004 to heal the past and their traumas and to clear the limiting beliefs and blocks that stand in the way of wholeness. In formal training workshops, I teach my students how to become a competent EFT practitioner and/or trainer to AAMET standards. I am also a Reiki Master teacher. 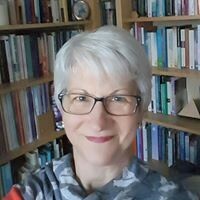 As a senior Spiritual Companions educator, I explore with individuals and in groups and accredited training how to develop healthy spiritual connection and strategies that benefit the health, nurture their development, personal and professional. The Bowen Fascial Release Technique is a soft tissue remedial therapy. The practitioner uses thumbs and fingers to perform the unique rolling-type moves which are applied to precise points on the body over muscle, ligament , tendon and fascia. This prompts the body to reset and re-align without the need for deep or forceful manipulation. The treatment is gentle, subtle and relaxing and most of the work can be performed through light clothing. A distinctive feature of Bowen is that the therapist leaves the room between sets of moves, allowing the client’s body time to respond to the treatment. Most people who join our courses have had a positive response to Bowen Fascial Release treatment themselves. Practitioners learn Bowen for many reasons, for some they want to expand the treatments they offer their clients, many are looking for a more gentle way of working. A very wide range of conditions can be addressed with the Bowen Technique and it is suitable for all ages from new born babies to the elderly. Response is generally quick and this makes it a time and cost effective treatment option for clients. Our courses are all highly practical and very ‘hands-on’. Class sizes are deliberately kept small to ensure you receive a high level of teacher supervision whilst you practice the moves with your fellow students. By the end of the Module One course you have the skills to perform a complete body treatment. Our course manuals are superb; they are detailed, colour illustrated, user friendly and designed for independent practice. Case Histories – Taking effective client notes is an important part of a Bowen Fascial Release treatment. To establish a good level of understanding and proficiency you record your case histories. Before module three, you choose 10 of these where each client has received 3 treatments from you to submit to your teacher. You work on these in the time between module one and module three. You will be provided with the DVD ‘Taking effective client notes’ as part of your course materials. Module Two gives you the opportunity to review everything that you learnt on module one. On this course you will consolidate your knowledge and improve your technique. You will have already gained some experience through practise and module two will build on and refine your skills and accuracy. Time is also set aside to help you with the system of taking client records (or case histories); an important part of your training. Module Three takes the technique to a new dimension with specific treatment procedures that are remarkable for their speed and efficacy. A manual accompanies the module three notes containing over 100 full colour photographs with simple text and directional arrows showing the position and direction of the moves. This can also be a useful resource to help you explain the nature of the technique to the clients. The case histories that you submit before attending module three receive a written evaluation to support and guide you. Module Four reviews the Bowen moves in module three and aims to consolidate all the moves you have learnt so far. At this stage, you are in the process of preparing for your second set of 10 client case histories. This is the course where everything seems to ‘fall into place’. The first two days are spent revisiting all the Bowen Technique moves and with your experience so far, you will deepen your knowledge and understanding of the Bowen Technique. Day 3 includes a written and practical assessment. A level of competence is required before attending module five. To achieve this, you will informally be assessed by your teacher throughout your training from module two onwards. The phrase…if I was a stick of rock you would see “The Bowen Technique” written all the way through has been applied to 20 years of involvement with this inspirational therapy. I started my career as a Sport Scientist and Basketball coach. Injuries being a common theme in this environment, I was always looking for innovative ways to help my players and students on the road to a fast recovery. Bowen crossed my path in 1998 and I’ve never looked back. It has formed the “backbone” of every business decision from this point. I ran a successful Bowen clinic for 5 years from Claypath Medical Practice Durham then became a teacher for CBS for 12 years. Northern Integrative Health Practice was then launched in 2009 and now has clinics over UK and Europe. We specialise in the caring management and resolution of chronic pain and muscular skeletal injury through teams of experts. We are also providers for the NHS in England meaning we have “won our stripes” for quality to deliver in this arena. Bowen is my passion and my main therapeutic approach, now fluid from 20 years of knowledge, anatomical understanding, research, clinic and a tenacious desire to see the work recognised by the public in my working lifetime. The client and the student are always at the centre of my attention and desires for success and personal therapeutic outcomes. I approach all teaching with fun, analogies and stories created from decades in the field and adore imparting this experience to new practitioners and those taking their careers to a new level. A long teaching background leads to a great learning environment. I look forward to seeing you on the next course. Colin’s passion to help others combined with his background in management, led him to open a successful health clinic located in Glasgow in 2009. 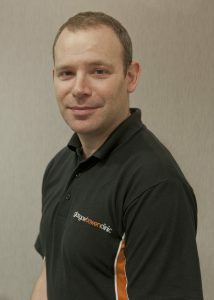 He first studied The Bowen Technique with the College of Bowen Studies in 2009 and has been a full time Bowen practitioner in Glasgow since 2010. Such is his desire to help others Colin is also qualified in Sports Therapy, Reflexology and Reiki. Colin’s decision to become a Bowen instructor was spurred on by his belief in this remarkable technique, often witnessing The Bowen Technique’s remedial abilities daily. As an instructor Colin encourages an open forum with an approachable manner engaging his students with a friendly but informative teaching style. Colin believes in promoting a healthy life style mentally and physically. He retired from teaching martial arts in 2004 and now enjoys mountain biking, hill walking, golf and swimming in his spare time. He lives in North Lanarkshire has two step sons and has become a Grandparent for the second time in September 2018. The ‘M’ Technique® is a method of structured touch. Each movement and sequence is done a set number of times, in a set pattern, at a set pressure and set speed that never change. This makes it extremely easy to learn. And, because the technique is completely choreographed it is completely reproducible and therefore useful in research. The ‘M’ Technique® works on skin receptors that send signals to the brain. The technique has been described as physical hypnotherapy, ‘a kind of meditation’ and a ‘spiritual dance’. The ‘M’ Technique® is suitable for the very fragile, critically ill or actively dying patient, or when someone is just very stressed or when the giver is not trained in massage. Anyone can learn the ‘M’ Technique® – it is suitable for caregivers, family members, volunteers, and friends as well as nurses, therapists and other health professionals. It is not necessary to have previous training in massage. Touch is one of the basic forms of communications, yet many of us may be apprehensive to touch those who need it most. The ‘M’ Technique® is simple to learn. It is different from massage and the Practitioner course can be learned in a weekend. The cost of the Practitioner course is £200.00. For full certification students must complete the course and successfully submit two case studies with six months of completing the course. Philippa is a fully trained and registered Holistic Therapist, and ‘M’ Technique® Instructor. She has taught the ‘M’ Technique® in Europe and the UK for over ten years. 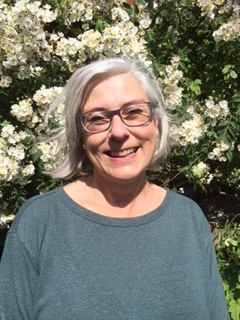 As well as general practise she has many years experience of complementary therapies in hospice and palliative care, and is a member of the Complementary Therapy team at Longfield (Hospice Care) in Gloucestershire. She is a registered Aromatherapist, trained by Robert Tisserand and a member of the IFPA. She also specialises in therapy for adults with special needs.